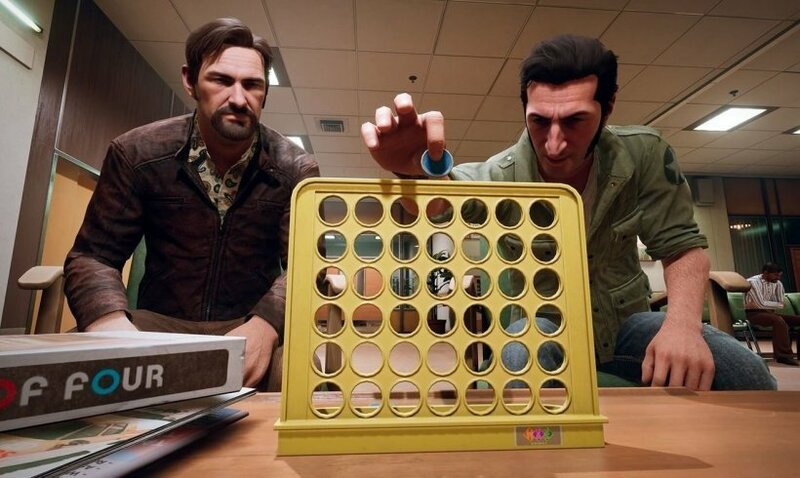 At A WAY OUT’s announcement at E3 2017, I remember being flabbergasted in front of Josef Fares future project. The idea of a game that I could play with my wife immediately wrapped me up. A game built on a cooperative aspect based on a well-groomed adult narrative. I was counting the months and now, we just finished it. Verdict? First of all, from a narrative point of view. The story is finely built and centred around the duo Vincent and Leo. Each scene weaves the links between the two protagonists that gameplay forces us to own. This relationship is refined over time and reveals all the finesse of writing. As if every character was flesh and bone. They interpret their fear, passion, and especially their desire to escape this prison. And that's also the fun of the game. Players in coop are to be teased, challenged and synchronized. 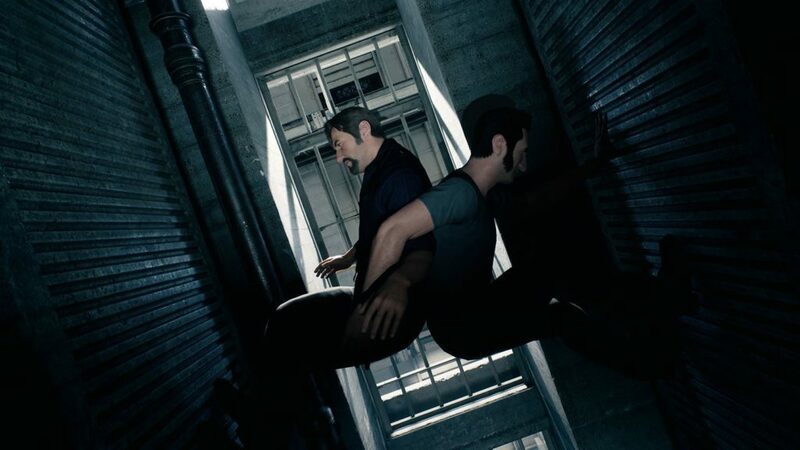 As far as we can tell, A WAY OUT won the bet.
" What are you doing!!??" " Hurry up!!??" " 3, 2, 1 NOW!" become recurring sentences that impact the gaming relationship of the two players, an excellent idea perfectly directed. Thus becoming a reflection trail for board games and storytelling. Mini game during the game. In a second time, I was afraid that the gameplay would be just a continuous split screen or each player mission that lack cohesion. This is where A WAY OUT innovate and delivers. The chase phases where camera moves from one character to the other by giving him full width becomes a gameplay element. It made me wonder, as a game designer, how to transcribe the concept of a point of view in a set game? How do I get the idea of a moving camera and the role it plays in a group of players? It is funny to see that we do this work instinctively. The choice of visuals on top of a plateau forces the idea that our players are above this world, as outside a scene. Convenient for the overall view, but less effective for interpretation and proximity. The choice of a side view on cards, for example, puts us at the same level of the event we face and make us more vulnerable. That's why some games alternate these styles, these cameras. 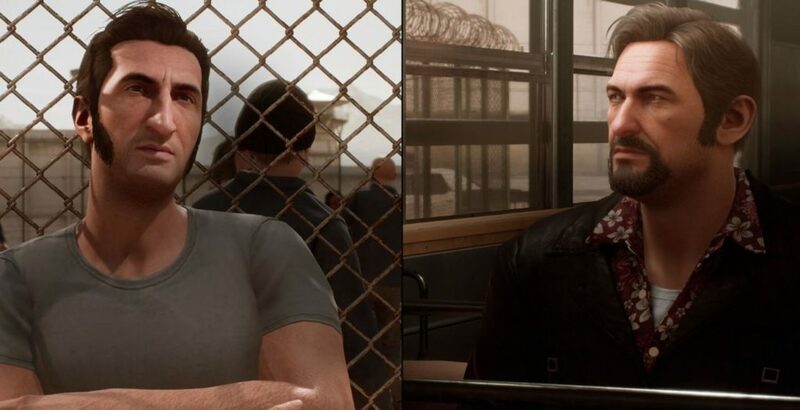 To summarize, A WAY OUT is an excellent game. Apart from a short duration and a few obvious quicktime events, the game offered me several interesting ideas. The level of narration intrinsically linked to the relationship developed by the players. The visuals mixed with inconspicuous details that you can miss based on different points of view. All this can make us dream and travel for the time of a game.